The educational system of Myanmar is government-operated. There are 158 Universities in total under the management of Ministry of Education. There are three types of Universities, the Arts and Science Universities including our University (Mandalay University), University of Computer Science and Technological Universities. 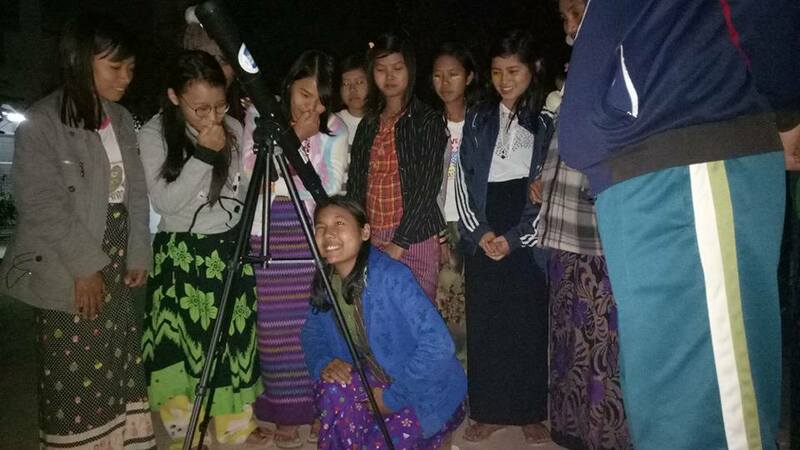 Role of Astronomy Education in Myanmar Universities has diminished for decades due to the various reasons. In the old time, there were a number of lecturers who offered astronomy courses in Physics and Mathematics Departments. However, after they got retired, in new generation, there remains very few staff in this field and a small portion of Astronomy is provided in undergraduate course of Mathematics. We are aware of the significance of Astronomy and Astrophysics and would like to revitalize and promote Astronomy Education in Myanmar Universities. Physics Department of Mandalay University has taken a leading role in implementing this project since Mandalay University is the oldest University in upper Myanmar and is offering degrees and diplomas including Ph.Ds. We have introduced the basic course of Astronomy and Astrophysics for undergraduate students in the Academic year 2017. However, the challenging problems encountering in this endeavor are lack of human resources, requirements of refreshing courses for faculty, needs of assistance from expertise for syllabus and curriculum development. Under this project, 8 members visited NARIT in 2017 to develop appropriate syllabus and curriculum for Astronomy in undergraduates with an assistance of NARIT staff. After their return, a workshop on Astronomy education will be held in Mandalay University inviting at least a staff from each University in Myanmar to discuss and approve the syllabus and curriculum. With the support of the OAD grant (P171RAERMU), our group visited Chiang Mai University and National Astronomical Research Institute of Thailand in 2017 from 28th May, 2017 to 6th June, 2017 to set up the astronomy curriculum for undergraduate level. After coming back from Thailand, we conducted the workshop on Introduction to Astronomy and Astrophysics to get the approval of all Myanmar Arts and Science Universities from 28th September, 2017 to 29th September, 2017 to set up the National curriculum for Astronomy education. We invited head and two teaching staff of Physics Department from 48 universities under the management of Higher Education Departments, Ministry of Education.